Rear endings, rollovers, head-on collisions, and T-bones: these are just some of the car accident cases our lawyers handle every day. We have been handling personal injury cases for over 30 years, earning a solid reputation as one of the most successful law firms across the United States. If you or someone you love was harmed as a consequence of a serious injury, please call our highly-specialized team of attorney. We will help you determine the next steps in your case so you can just focus on healing. Who is liable in a car accident? When anyone gets behind the wheel of a car, he or she is accepting a certain level of responsibility. Determining who is at fault affects an injured person’s ability to secure compensation. While some car accidents are open and close cases, many of them fall into a gray area. Our lawyers know how to prove that the party that harmed you was at fault, and will help you secure a proper financial reward. The other driver. If the other driver was behaving recklessly, then the case will likely move forward with a claim against that person. An employer. Let’s say the other driver was an outside sales representative who regularly traveled for work. If the driver was going to a job (not just commuting), the employer might be responsible. This is just one example, but every time an employee is harmed while performing his job, the company might be held responsible. An auto professional. Some car crashes are unavoidable, regardless of driving actions. If the accident was caused by a vehicle malfunction, the mechanic who was responsible for maintenance or the manufacturer that produced it could be blamed. Our legal team will help you through the whole course of the investigation phase, including uncovering evidence that might support your claim in court. Usually, the driver who was involved in the crash or caused it is not required to pay out of his pocket. The insurance will cover any payment, so don’t worry about filing a claim against neighbors, friends or family members. How Long can I wait to file a lawsuit? 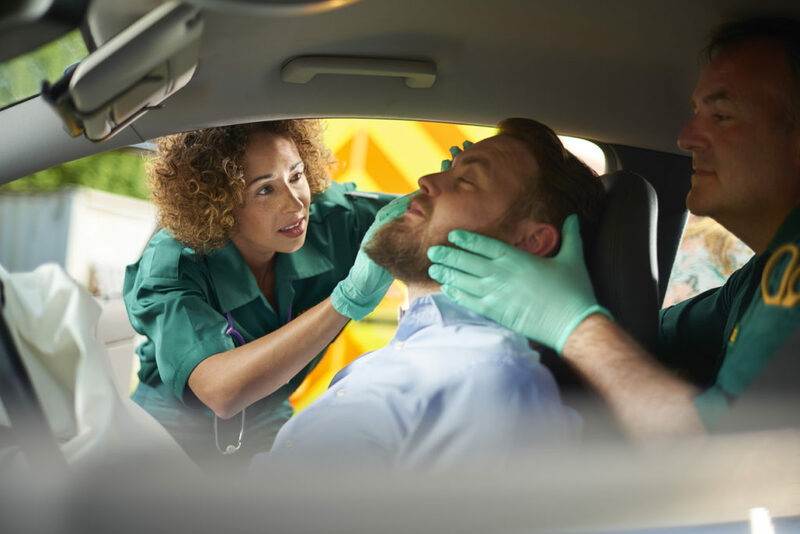 The specifics of your accident suit will depend on several factors such as who had the right of way, the type of injuries sustained, and even the road and weather conditions. However, as complicated as it may sound, you still cannot afford to wait to file your case. American laws, in fact, enforce a time limit on personal injuries known as the Statute of Limitations. Depending on the state where you live in, you only have a few years to file your lawsuit for injuries (usually two or four), even if the accident caused death. Even if you choose not to hire an attorney, you should still seek legal advice as soon as possible. We will provide legal assistance for free and without any obligation, and ensure that your rights are protected. How much does a Car Accident Attorney will cost me? All our legal consultations are provided for free and they’re fully confidential. If you eventually choose us to represent your case in a tribunal, we will work on a contingency basis. This means that you do not need to pay us any fee unless you first recover, and that the contingency fee we charge is just a percentage of the actual compensation you received. This fee is set by the State Bars, and usually ranges from 20% to 40% of your final reward. Will your Law Firm accept my case? Our law firm evaluates and takes all types of car accident cases, regardless of their size, and will help all plaintiffs to the best of our skills. Even if we are not going to be able to help you for any reason, we will still do provide you with an entirely free and confidential consultation. We will review every detail of your case and, if we’re not able to handle your case, we will try our best to refer you to someone else who can. Frequently, law firms pay for TV advertising to look for car accident victims. However, the right attorney for you may not be the first one you see advertised on TV. Our advice to all victims in need of legal assistance is to research more carefully until they find the proper attorney who can really earn their trust. At the Nielsen Law Firm, we will ensure that you have more than just the best legal representation, but a prompt access to proper medical care to help you during the healing process. We fought hard during the last 25 years to ensure that all our clients had the right to a maximum recovery. We understand the emotional, monetary and physical pain that a vehicle crash can force you to endure. We hope you remember us as relentless legal advocates who compassionately lent you a hand in your time of need. Contact us now to talk to one of our specialized attorneys and receive a fully confidential, free legal consultation.